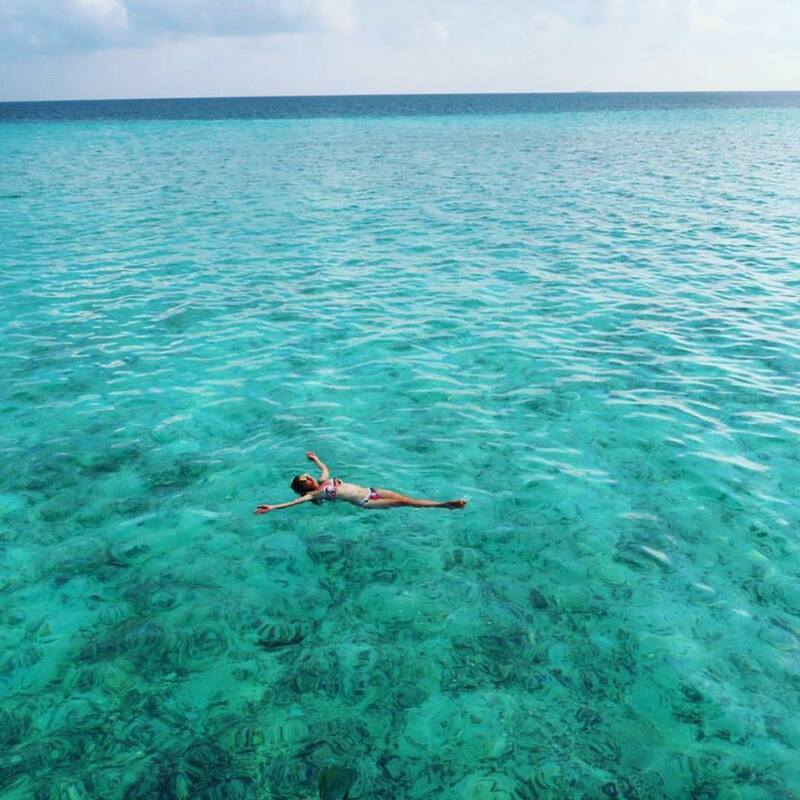 Sun Care Tips for the Maldives - Holy Smithereens! 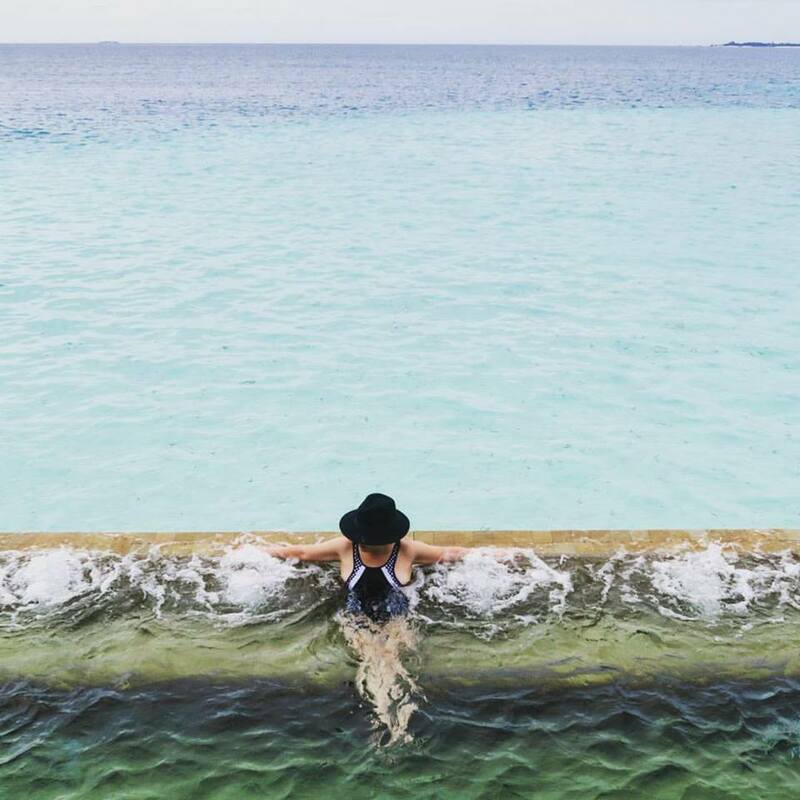 So you’re headed to the Maldives – congratulations! 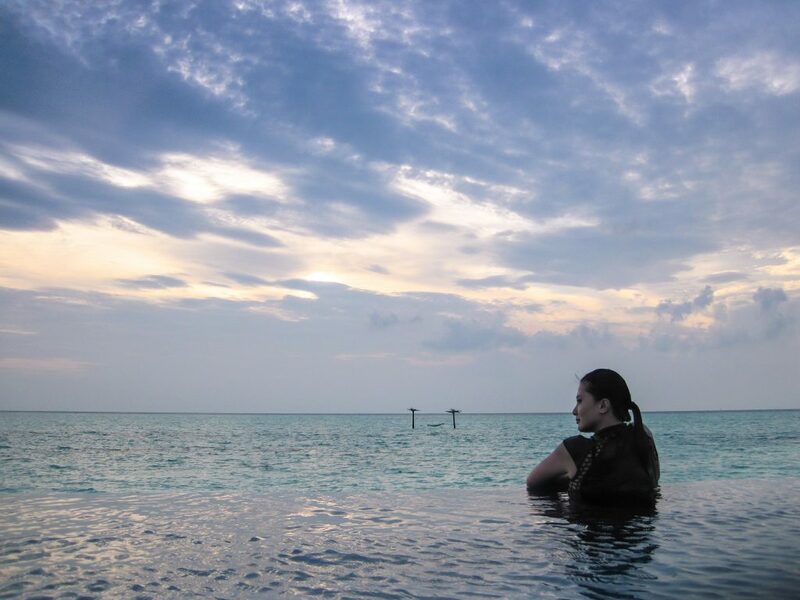 Now that you’ve decided how to get there, which resort to stay at, and what to pack – it’s time I tell you about one of the most important but overlooked things to consider when going to the Maldives. Skin care. 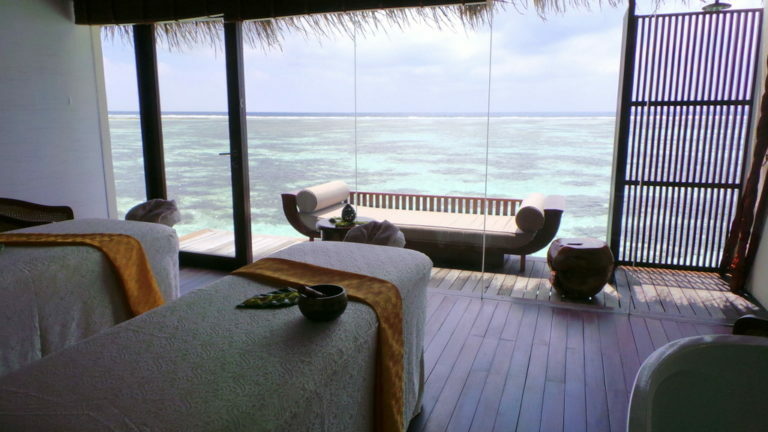 In particular, sun care tips for the Maldivian sun. Just because the Maldives is an island and beach destination doesn’t necessarily mean it’s sunny all-year round. Not only will this help you pack essential gear and clothing but this will help you plan what kind of activities to do (and avoid) during those seasons. Whether you the Maldives is all sunshine or grey skies when you arrive, it is still essential to wear SPF on a daily basis. Which leads us to my second tip. This one, I cannot stress enough. If you are not too familiar about SPF, I suggest you do read up on skin protection and why SPF is essential. Ever since this ‘tanline tragedy’ that happened to me (below), I’ve been very vigilant about SPF ever since. I know it’s a ghastly sight, but I must let you know that it was the result of using the wrong kind of SPF. The convenience of an SPF in a spray can got to me. I was too excited to spend hours on water and didn’t re-apply. Moreover, I think I just self-sprayed my back and not even bothered to evenly spread the SPF. check the expiry date of your sunscreen. Sunscreen is not merely a cosmetic item. In fact, even when its a month close to the expiry date, I would suggest getting a new bottle entirely. One cannot be ‘loose’ on this as a sunscreen’s SPF effectiveness relies a lot in its expiry date. you must leave time for SPF to bind to the skin. So it is important to apply SPF at least 30 minutes prior to sun exposure. as a general rule, the higher a sunscreen’s SPF is, the longer your skin can stay exposed in the sun. 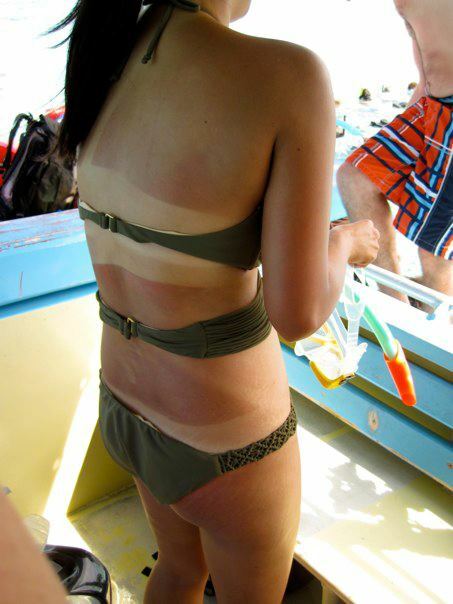 For instance, a sunscreen with an SPF of 15 can give you sun protection without burning up to 150 minutes. However this also depends on activities you engage in as sunscreen power can diminish over time with sweat and water. So always re-apply. Yes, resort spa treatments may be steeper than your average facial at home (though you should check out packages and promos as resorts have them regularly). But one thing that resort spas do differently (and better if I may add) than any other spa? After-sun treatment. 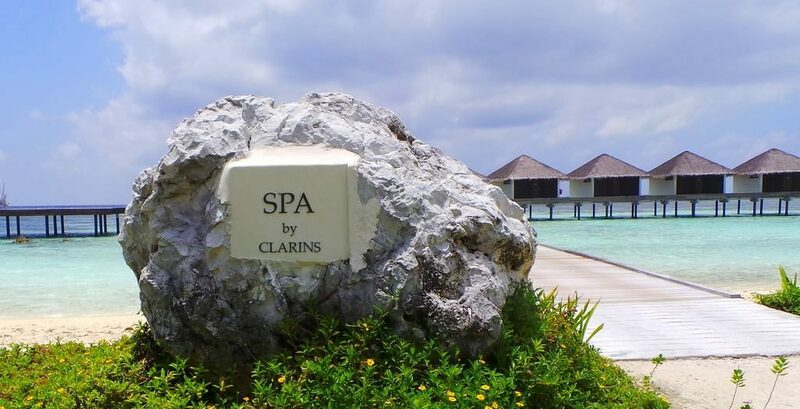 Almost all resorts in the Maldives have a spa, and one of the most impressive ones I’ve been to is Spa by Clarins at The Residence Maldives. A soothing after-sun treatment is crucial because it must be done immediately after hours of sun exposure. Therapists use cooling and gentle ingredients for the treatment. And the cooling relief you feel isn’t just in the head. They actually help put a stop to sun damage to the skin. If you have never had an after-sun spa treatment right after a full day under the sun, the most simplistic way I can describe the sensation is someone dousing cold soothing water over sunburnt skin. The relief is real. you need an app that tells you siesta time under the sun is up. These days, there’s an app for everything. 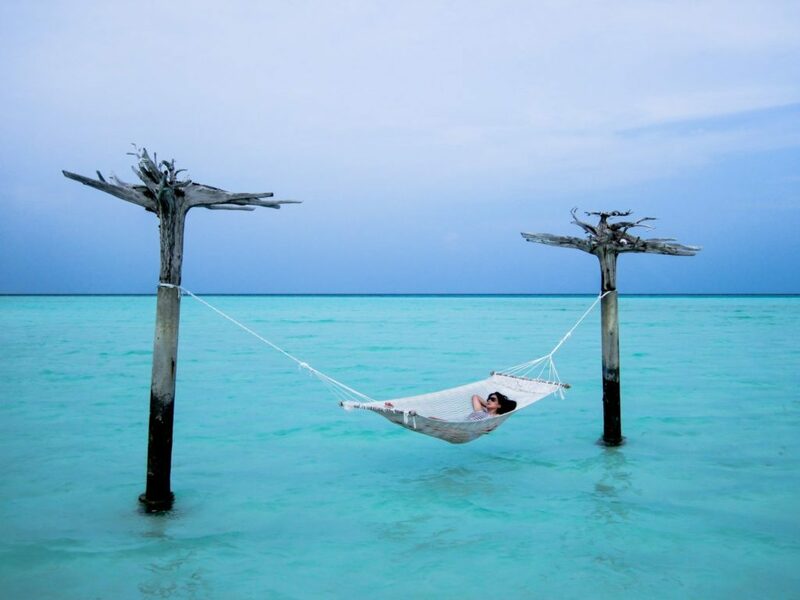 If there’s an app for sleeping, then an app to monitor your time in the sun is a definite must-have especially when travelling to the Maldives. Solarize is just one of the many apps that act like an umbrella-wielding mum reminding you about the dangers of sun exposure. We all need that! They say time flies when you’re having fun, and I can attest that time is on the fly double time in the Maldives. 30 minutes can feel like a minute so it’s very easy to lose track of your time under the sun. These apps are very straightforward – you just need to select your skin type and the SPF you applied, and the timer will do its work. I especially recommend this if you are travelling with kids. Even if you don’t scuba dive or snorkel, I would recommend you pack rash guards (or rash vests / rashies). They offer extra coverage from the sun and also acts as a bit of an insulator when the water gets chiller than usual. The waters in the Maldives are not chilly by any means but the rash guards can be handy when it suddenly rains or water temperature drops. I’ve said it before, and I’ll say it again: Wide brim hats are not just a pretty accessory to your Instagram shots. They’re actually very useful in the Maldives. Our facial skin is thinner than any other part of our body. And while a sun-kissed, bronzed look is absolutely stunning on anyone, it’s not worth the sun damage it will do to your skin. I personally wear hats most of the time in the Maldives because I try not to layer so much SPF on my skin. Even the oil-free facial SPF can get messy once you start sweating. So on days that I know I won’t be swimming, I will put a thin layer of SPF on my face and wear the hat all day long. Most people don’t realise that the joy of being in the Maldives doesn’t just end with the surf and the sand. There is a big reason why hotels and resorts are competitive in the Maldives. It’s because most of them are reason enough to fly yourself there. Because each resort is in a private island of its own, there’s a plethora of activities for guests to be done in every resort. But more importantly, all villa and room categories are fitted with amenities for you to enjoy yourself even without going out of the room or resort. Book a villa that has a private pool or a really indulgent jacuzzi (or both – as exemplified in the above photo, taken at Jumeirah Vittaveli). That way you can have in-room days and out-in-the-sun days. Now that you’re sun-ready – enjoy every minute in the Maldives! 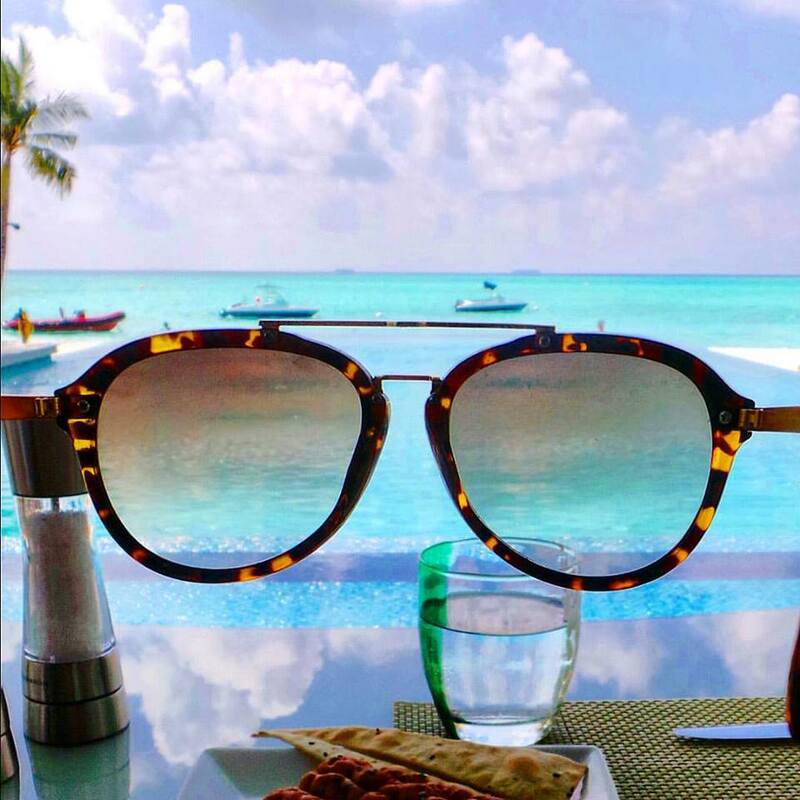 Enjoy the Maldives through rose-coloured glasses, but don’t forget your SPF! Wow, Maldives suit you! I personally do not want to go anywhere where there are no trees))) but your pictures look amazing. Good advice re sun protection also. I usually use trees as my sun protection, ha-ha))). Happy travelling!! !